A defensive pass interference called on a Notre Dame defender (left), who has his arm around the chest of an Air Force receiver (right). The defender also has his hand on the arm of the receiver. 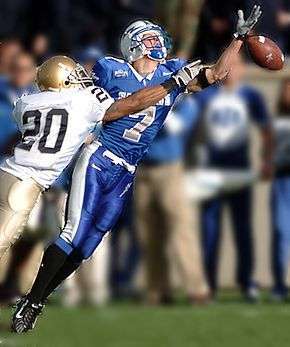 1 2 "Pass Interference". Digest of Rules. National Football League. Retrieved 2010-01-01.